It might be among the worst-reviewed high-profile apps on the market, but Messenger, Facebook, Inc.’s mobile instant messaging service, just hit a significant milestone, announcing today that it had reached 900 million users – a sizable audience for its four newly unveiled business-friendly features: usernames, messenger links, messenger codes, and messenger greetings. The first is a Facebook-wide change allowing users to tag pages, business-related and otherwise, in a Twitter-like fashion using the @ symbol. Pages with vanity URLs (such as facebook.com/itbusiness) already have a username, as followers need only add a @ to the beginning of their page’s existing name to contact them. Over the next few weeks, usernames will begin appearing automatically on business pages underneath the title, while administrators for pages that do not have usernames will see an option to select a username directly from their page. 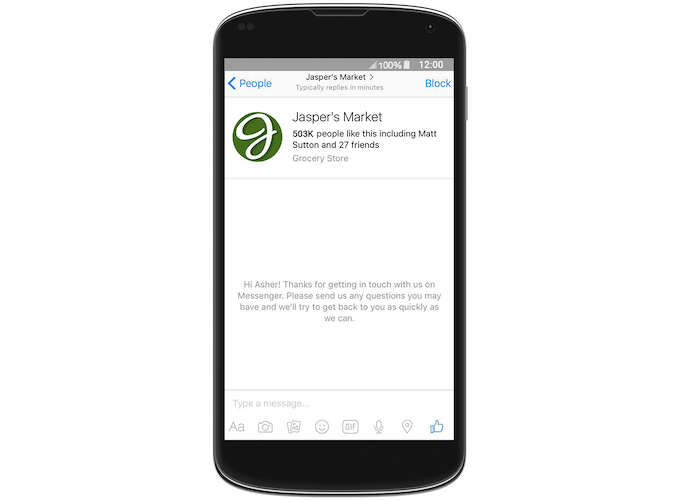 The second new feature, messenger links, will make it easier for users to begin a Facebook conversation with businesses and their customer services representatives, by using a page’s username to create a short link (m.me/username) that, when clicked, will open a thread between the user and page administrator (or administrators) in Facebook Messenger. 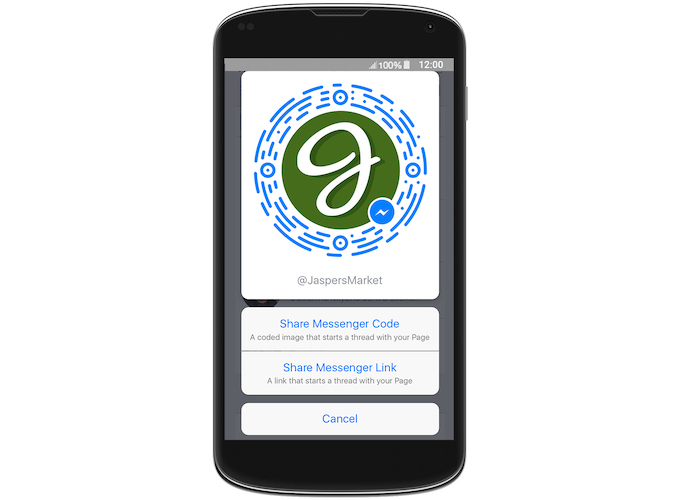 Messenger codes provide an alternate method of starting a conversation: like QR codes, they can be posted in ads, websites, or any marketing channel you can think of and scanned by users with a mobile camera to start a Facebook Messenger conversation between the user and business. 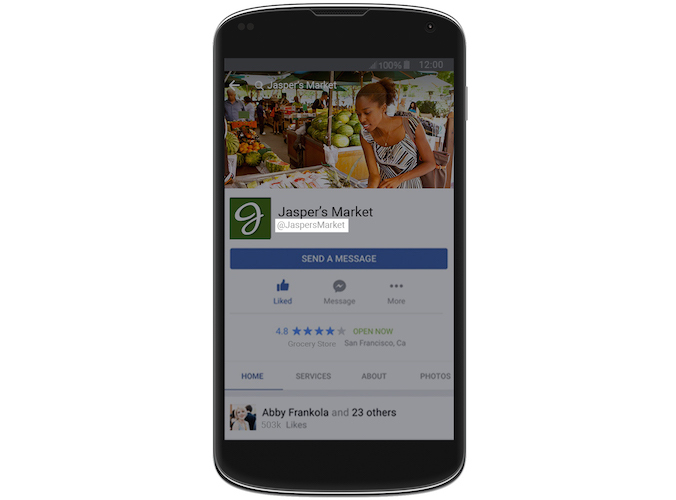 In its April 7 blog post announcing the service, Facebook said that messenger code images could be downloaded from a page’s inbox, though it did not specify whether they would be provided, if users would have to request them, or whether they could design their own. The fourth new feature, messenger greetings, allows page administrators to create a customizable note that will appear in a new message thread before anything is sent – ideal for helping establish a friendly tone – and can be accessed from a page’s message settings.